The picture of Gabrielle Samoszul, which is part of this collection, was also added to the Give them a Face portrait collection (KD_00017). Josek Samoszul was born in Piotrków, Poland, on 24 January 1910, as the son of Szulim Samoszul and Rosa Brill (also Bryl). He became a tailor and emigrated to Belgium in 1929 to work in one of the large tailoring shops in Saint-Gilles, Brussels. He then met Fajga Goldkopf, whom had been born in Lowicz, Poland, on 10 February 1913. Fajga had joined her brother Nuchem Goldkopf (b. 17/07/1906 in Lowicz, Poland) and their mother Estera Malka Stopnick (b. 1867, Leczyca, Poland) in Belgium in November 1930, after their father Abram Goldkopf had passed away, leaving Fajga all alone in Poland. In Belgium, she made a living as a seamstress in her brother’s workshop where they sewed clothes for the department store L’Innovation. Josek Samoszul and Fajga Goldkopf married in Schaerbeek, Brussels, on 10 December 1932. Their daughter Gabrielle was born in Etterbeek on 1st July 1934. The couple started a small tailor’s workshop at home. However, due to the economic crisis competition with Belgian tailors was fierce and other workshops did not hesitate to report Josek and Fajga to the authorities in order to eliminate their business. It is only thanks to an intervention by W. Deswarte, high-ranking staff member of L’Innovation, that Josek Samuszol was not sent back to Poland. In 1937, Josek and Fajga moved to Rue Marie-Christine 49 and revived their business with the help of Fajga’s brother Nuchem and their mother Esther, as the family continued to work for L’Innovation. The Samoszuls still lived in Brussels when Nazi-Germany invaded Belgium on 10 May 1940. On 17 September 1942, Josek Samoszul, Fajga Goldkopf and their daughter Gabrielle were arrested at Rue Marie-Christine 208, where they were hiding. Fajga’s brother Nuchem, who was visiting them at the time, was also arrested. The family was then transferred to the basement of the Sicherheitspolizei-Sicherheitsdienst offices at Avenue Louise, where Josek and Nuchem were abused. On 19 September 1942, the family was taken to the Dossin barracks, where the family members were registered for deportation. Josek, Fajga, Gabrielle and Nuchem were deported to Auschwitz-Birkenau via Transport XI on 26 September 1942. Since Gabrielle was only eight years old at the time, it is likely that she and her mother were sent to the gas chamber upon arrival. Josek Samoszul was selected to become a worker and the number 66155 was tattooed on his left forearm. He was transferred to Jawischowitz immediately and survived over two years of forced labour for the Reichswerke Hermann Göring. In January 1945, Josek survived death marches to Buchenwald, Ohrdruf and Grawinkel. He was eventually liberated at Buchenwald on 11 April 1945 by the American Army and was repatriated to Belgium on 3 May 1945, where he was reunited with this brother-in-law Nuchem Goldkopf whom had also survived the selection at Auschwitz-Birkenau and several years of forced labour. Although Nuchem Goldkopf would emigrate to the United States in 1950, Josek Samoszul remained in Belgium. He revived his tailoring shop with the help of his sisters Regina and Henia Samoszul, who had survived the war in Poland and emigrated to Belgium. In 1948, Josek met Frieda Preszow, whilse she was visiting her aunt Hendla Preszow in Brussels. 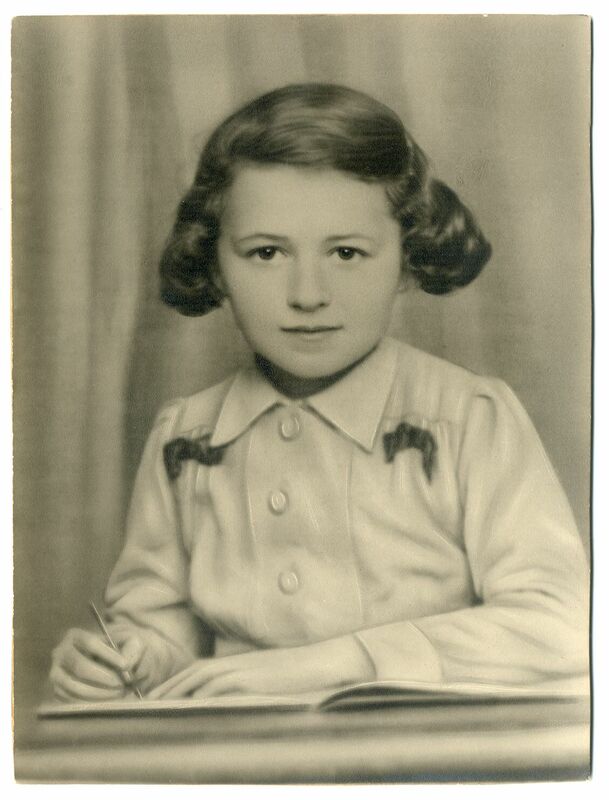 Frieda had been born in Berlin on 20 July 1921 and had survived the war in London, United Kingdom. Josek and Frieda married in Brussels on 19 March 1949. The couple’s daughter, Anna Rose, was born in Ixelles, Brussels, on 28 March 1950. Josek Samoszul became very active as a proponent of Holocaust commemoration and participated in several ceremonies organised at the former SS-Sammellager Mecheln (Dossin barracks). In 1956, he became one of the co-founders of the Union des Déportés Juifs et Ayants Droit de Belgique [Belgian Association of Jewish Deportees and their Proprietors] and he advocated for the inauguration of a memorial plaque at the Dossin barracks. The Union continues its work until today as the Union des Déportés Juifs de Belgique and annually organises a pilgrimage at the Dossin barracks. In 2017, Anna Rose Samoszul-Moes, daughter of Josek Samoszul and Frieda Preszow, kindly permitted Kazerne Dossin to digitise her family photos.